Martis Peak, Ben Visnye and Luke Markham were snowmobiling on News Year Eve and ventured into less explored territory. They spotted a small dug out hole containing a very cold and stressed small dog (Seamus). After calling the dog’s owner on his tags, the two Kings Beach locals rushed the dog to Donner Truckee Emergency Vet Services for possible frost bite and exposure related problems. 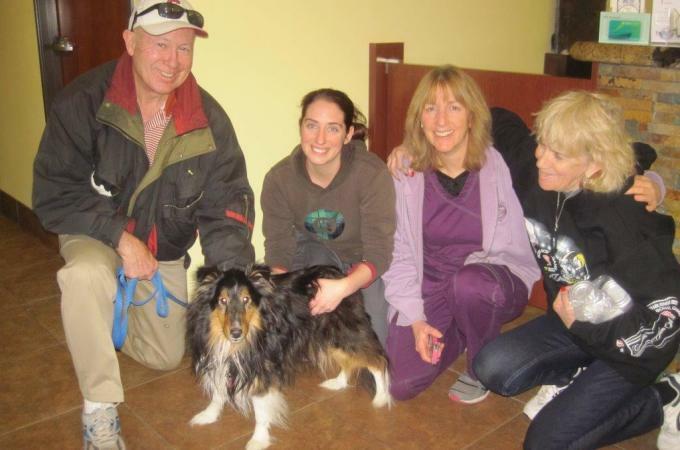 The article is a great account of Seamus’ treatment and reunion with his owners. He had been missing for 5 weeks! Click here to read the whole story from Moonshine Ink, Truckee & North Lake Tahoe’s Independent Newspaper.